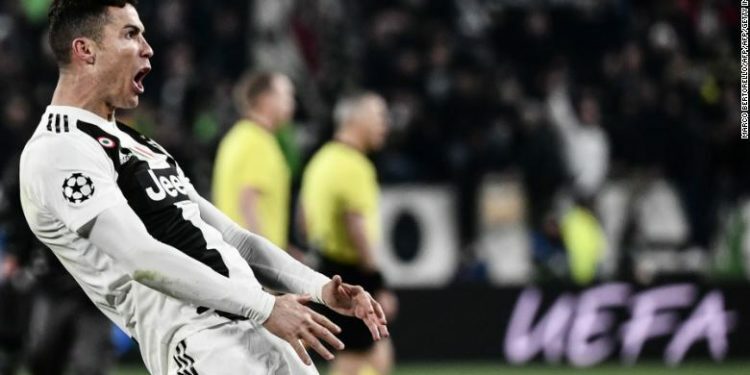 Juventus forward, Cristiano Ronaldo is facing disciplinary action after his “cojones” celebration in Juventus’ 3-0 win against Atletico Madrid in the Champions League. Ronaldo mimicked Atletico Madrid’s manager, Simeone’s celebration by grabbing his crotch after scoring his hat-trick to qualify his team for the quarter-final of the Champion’s League. UEFA has now charged Ronaldio with “improper conduct” and could potentially miss his team’s Champion’s League first leg tie against Ajax. SPORT: Valencia Ends Real Madrid 22 Games Long Run.